Try the original and the New Garlic Parmesan McSpicy now! 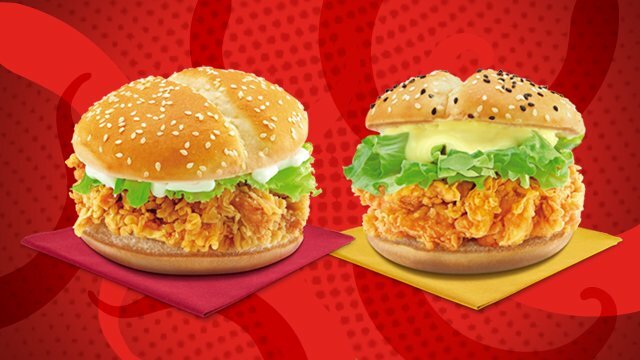 (SPOT.ph) Yup, you read that right: You can now order the McSpicy again! One of McDonald's greatest inventions is back by popular demand, and will be available in all branches nationwide starting today. 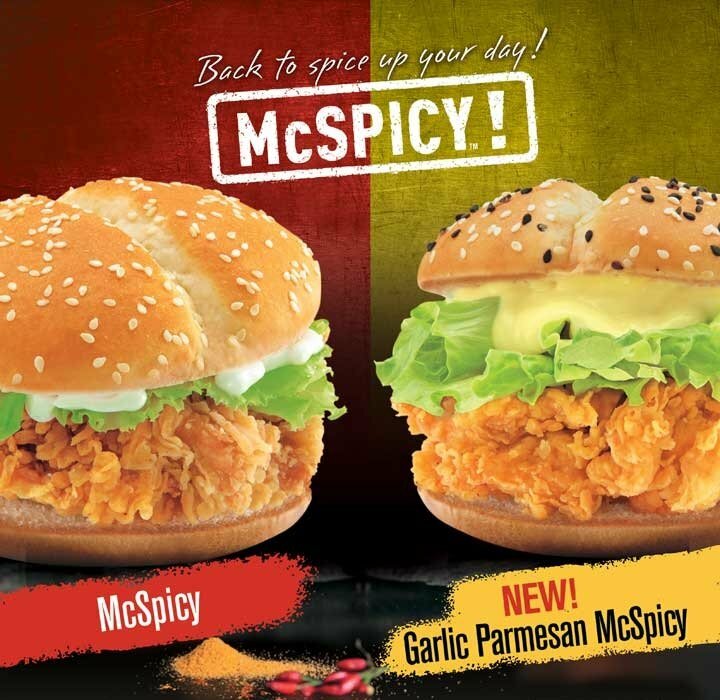 The good news doesn't stop there: McDonald’s kicks things up a notch with the NEW Garlic Parmesan McSpicy—it's everything you love about the original McSpicy, but smothered in garlic parmesan sauce and sandwiched in a black and white toasted sesame bun! The McSpicy and Garlic Parmesan McSpicy are available for a limited time only, so pick them up while you can and add some spice to these “Brrr” months! Complement your meal with a serving of McDonald's World Famous Fries and the NEW McFreeze in Frozen Dalandan. One more thing: Share your photos on social media and let your friends know about the new McSpicy variants! Don't forget to tag @McDo_PH on Instagram and Twitter, and follow McDonald's on Facebook. Get your McSpicy fix by dining-in, via Drive-Thru, through McDelivery by dialing 86-2-36, visiting www.mcdelivery.com.ph, or using the McDo PH app.